Unlike some other oils, Grapeseed Oil is light and able to penetrate the skin so that it moisturizes without leaving the skin feeling greasy. It is rich in fatty acids and antioxidants, including vitamin E, which not only hydrates skin, but also helps to repair and protect it. It can be added to skin care and other beauty products to soften the skin and help reduce the appearance of stretch marks, scars, and wrinkles. And because it’s so light and doesn’t leave a greasy buildup on the skin, it can also be used by those with oily skin to help soothe skin irritation and rejuvenate the skin. 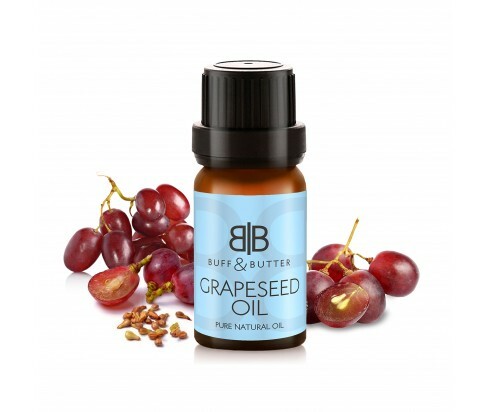 Grapeseed oil also makes a great base for massage oils and lotions, allowing the hands to glide across the skin while leaving skin luxuriously soft.